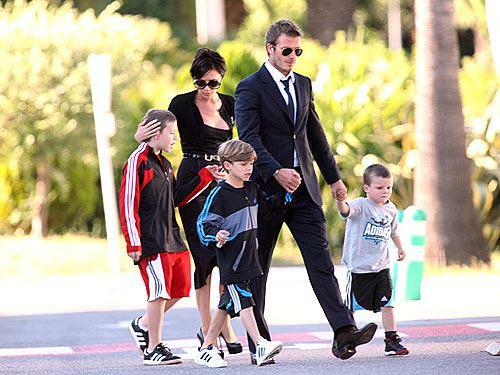 Babies for the Beckhams and the Blooms! Beckhams expecting baby number four! The ultimate British power couple, David Beckham and his wife, Victoria, are currently expecting their fourth child later this year! The soccer star and part-time model married his lovely fashion designer songstress back 1999. The couple have three boys together- Brooklyn, 11, Romeo, 8, and Cruz, 5. Victoria’s former Spice Girl mates congratulated the couple viaTwitter. Congrats to the happy family– We hope that Victoria will come out with a posh maternity line now!!! Orlando Bloom and Miranda Kerr welcome a baby! In other baby news- According to various reports, Miranda Kerr and husband Orlando Bloom welcomed a baby boy. The bundle of joy was reportedly delivered at a Los Angeles-area hospital. Congratulations on your new bundle of joy! We have a feeling that this baby boy will be absolutely gorgeous!